About 15 minutes before your allocated boat time you will go to the pontoon to pick up your boat, you need to show your landing ticket to the boatman to be able to board. You will then pay the boatman for your trip across to the island. Take cash for this (currently £11 per person), as, although they do have a card machine on the boat, the signal is very unreliable. What time to start queuing? So, what time to arrive ready to buy your tickets from Lockley Lodge? That’s always the question I am asked! 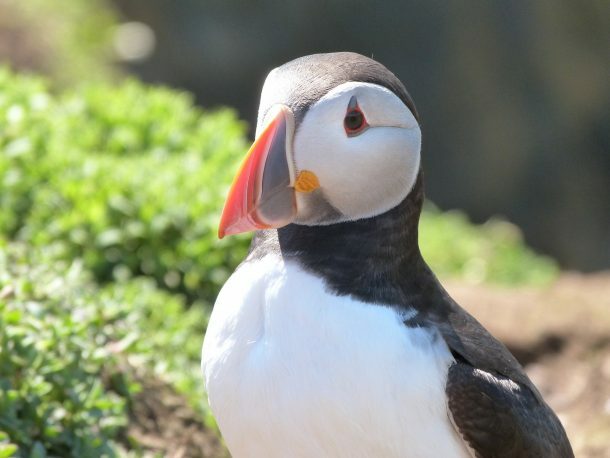 And the answer is always, ‘it depends’….I keep in regular contact with Lockley Lodge and the Boat company to understand what the queues are like—I have never failed to get a guest onto Skomer Island. At the end of May, beginning of June, the queues to get tickets are at their longest normally, but everyday is different. As a rule of thumb, getting there by 7.30am will mean you’ll normally be OK, but always check beforehand to be sure. If the boats haven’t gone for a few days due to the weather, then the queues will be huge the following day, and if that is the only day you have left to visit Skomer, then you wouldn’t want to take a risk, and on that day, I’d be there by 7am latest. 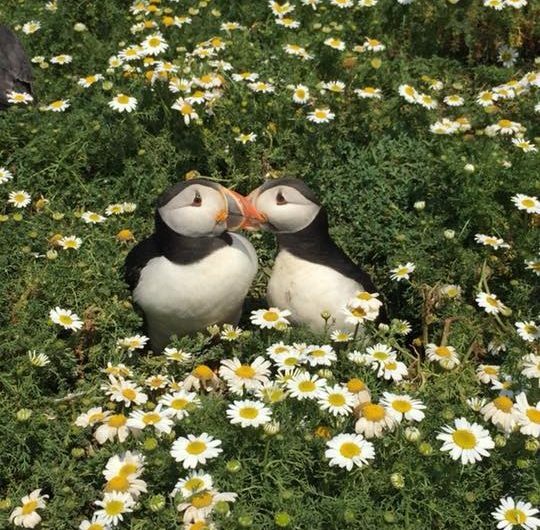 My advice to anyone wanting to visit Skomer on a Day Trip is to stay in Pembrokeshire for 3 days as a minimum and plan to go to Skomer on the first available day. The boats are weather dependent (and it’s more about the seas and wind that stop the trips rather than the rain) but it’s not often they are stopped for 3 days in a row, so if you can’t go on day 1 then usually you can go by day 2 or 3.